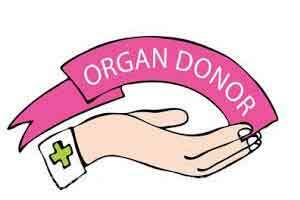 In a fortuitous series of events, doctors in two Delhi hospitals were able to save the lives of three people on Thursday following a laudable act of organ donation by the family of a 17-year-old accident victim. With the help of a team of experts at Max Healthcare along with other city hospitals and Delhi Police, a 32-km green corridor was set up from Max Super Speciality Hospital in Shalimar Bagh to Max Hospital in Saket at 10.20 a.m. to transport the heart of the road accident victim in 45 minutes and 27 seconds, the hospital said in a statement. The donor’s two kidneys saved the lives of two patients at the Shalimar Bagh hospital, while a 46-year-old woman with end-stage heart failure at the Saket hospital was the recipient of the donated heart. “Our team worked round-the-clock to ensure a seamless and successful heart transplant,” said Kewal Krishan, programme incharge-heart transplant and ventricular assist devices at the Saket hospital. “Given the abysmal number of heart donors in India, it was crucial to ensure that every step of the transplant was carried out without any roadblocks. We are proud to have successfully performed this transplant with the support provided by Delhi Police in creating the green corridor,” Krishan said. The two corneas were sent to All India Institute of Medical Science (AIIMS) and the liver to the Institute of Liver and Biliary Sciences (ILBS) for transplantation. “January is a time for resolutions. This month brings with it a hope in everyone to make changes and a chance at new beginnings. The donor’s family has given that chance to many today and we take pride in being of part of this brave and generous act,” said Rajneesh Malhotra, chief of Cardiothoracic and Vascular Surgeons (CTVS) at the Saket hospital. He said “organ donation is a true sign of humanity” and “we urge everyone to take inspiration from the family of this 17-year-old boy and come forward for organ donation”. “Their one decision has brought back hope and happiness in the lives of many patients and their families,” Malhotra said.